IMPAN Lecture Notes is an irregular book series based on selected lectures delivered at the Institute of Mathematics, Polish Academy of Sciences. The manuscript should be submitted to the Editorial Committee: Stanisław Janeczko, Łukasz Stettner. 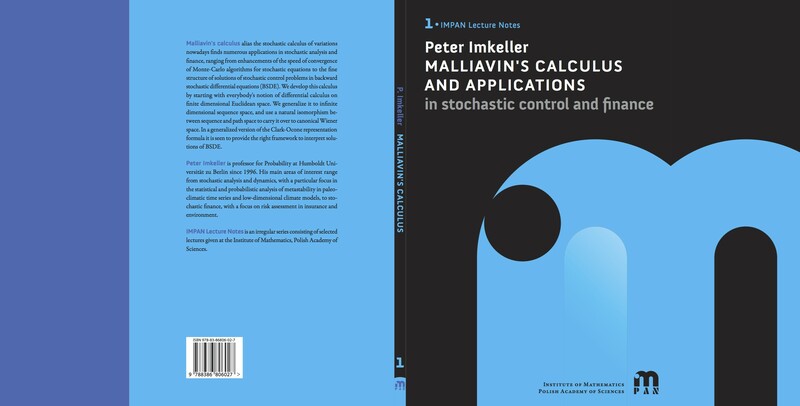 "Malliavin's calculus and applications in stochastic control and finance"
"Analytical and Probabilistic Methods in the Geometry of Convex Bodies"